What does your service look like as a JV? As Social Services Coordinator, I spend most of my time with clients in our food pantry, helping them understand our shopping style system, carry their food, or even just chat about weather, life, and the world. I also spend a lot of time getting our clients signed up for our free vision check and eyeglasses service. I also support staff on ideas for new programs or program improvements. What need are you addressing and why is your service important? The main need I address in my service is food insecurity. The percentage of people living in food insecure homes in Oregon is 16.1% (according Feeding America) and I believe that when someone has to worry about how to get their family’s next meal, a lot of other important considerations fall to the wayside. I hope that by providing clients with high-quality, nutritious food we can help take a little bit of the stress out of their lives and allow them to focus on everything else. Why did you choose JVC Northwest? I became interested in the program after a Spring Break service trip at Creighton. We were in Albuquerque, NM serving at a day shelter and had dinner and spirituality night with the local JV community. 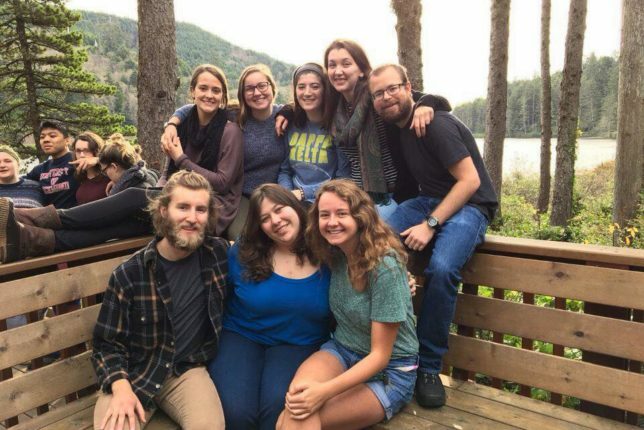 The time I spent made me realize how a year serving others, combined with an intentional community and reflection, could impact the rest of my life. 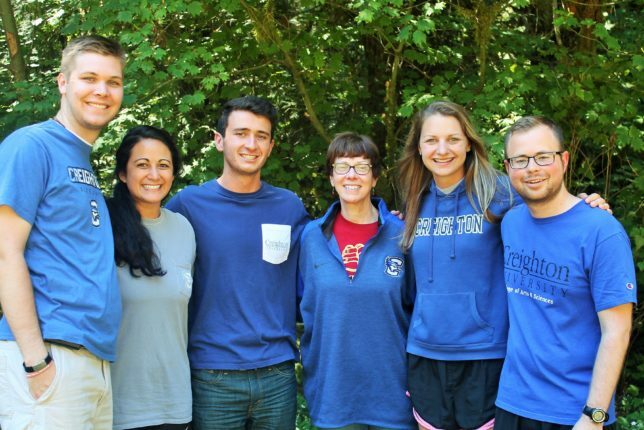 I researched JVC and JVC Northwest; both looked like impressive programs, but in the end after reviewing the small differences in the programs I felt that JVC Northwest would be a better fit for me. How is this experience having an impact on you? In what ways are you learning/growing? My main area of growth has been a much deeper understanding of my own social justice ignorance. I liked to think that before this program I was aware I had privilege. But throughout this year I have been challenged constantly on my assumptions and biases in ways that have pushed me to think deeper about our society. The challenge has come in different forms, from conversations with clients to deep discussions with community mates. I’m always being pushed to see things from a different perspective; I love every minute of it. Any words of wisdom for others considering becoming JVs? Signing up for a JV year can seem like a hard decision when friends are off to careers or graduate school, but it truly is an irreplaceable year. If you are interested in a year of service, there are many great ways to complete it. 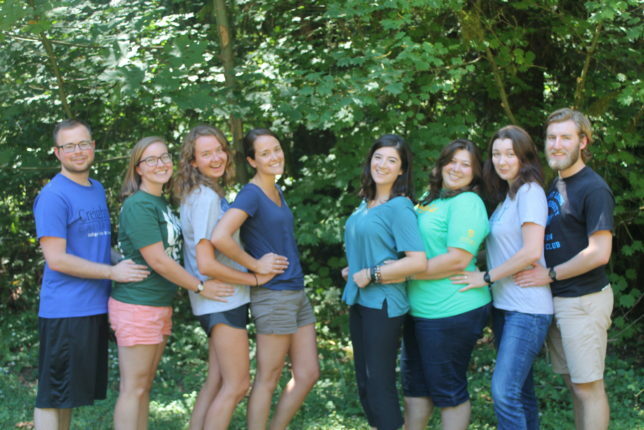 However, what JVC Northwest offers is that year combined with an intentional community. Living in an intentional community is an experience that is so powerful, yet so rarely offered in life. I encourage you to discern if would benefit from the challenges and joys of community life, and if you are to take that step and become a JV. Apply to JVC Northwest today.